Recent report from Bloomberg New Energy Finance says solar will become the cheapest source to produce power in many countries over the next 15 years. Part of the cheap solar power will be unleashed because the cost of installing solar panels at big solar farms and on rooftops will drop 60% to an estimated average of around four cents per kilowatt hour by 2040, the report said. Scientists estimate that the earth’s surface receives enough solar power in just a couple of hours to satisfy the world’s energy needs for an entire year. Beginning 3,000 years ago, the Chinese were the first to use concentrated solar energy to start fires. They discovered that solar energy from a bronze parabolic disk generated extremely high temperatures at its focal point. Isaac Newton, the great English scientist, realized that a curved glass surface could be used to concentrate light to a focal point. 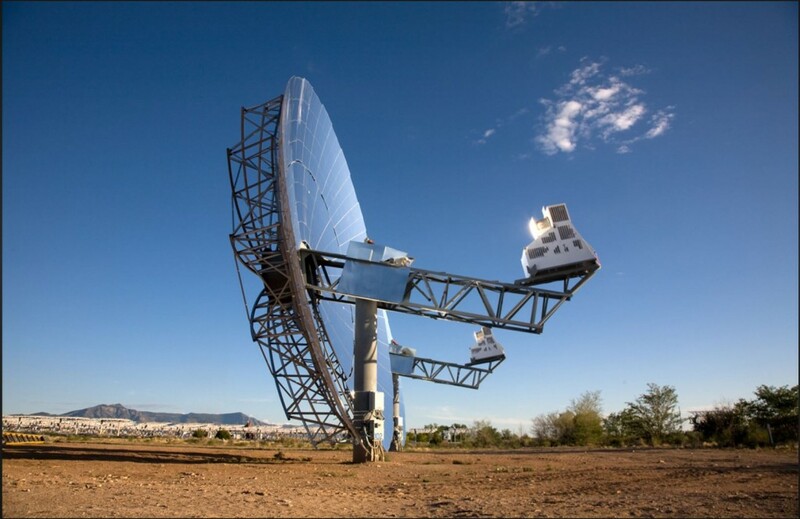 Today, the parabolic technology in our modern space and radio telescopes, communication and satellite dishes, radar receivers, and microphone amplifiers. In many ways, much of our understanding of our universe comes from our ability to capture and concentrate a range of energies using parabolic devices. Current solar technologies are incapable of directly transferring energy from a moving solar receiver to a stationary target. Due to a lack of direct energy transfer, the solutions currently employed have failed to maximize the sun’s energy potential. Presently, there are 4 major solar technologies such as Tracking Photovoltaic, Parabolic Trough, Central Receiver, and Stirling Solar Disk used which are effective at capturing and converting solar energy to useful purposes. Several years ago, Southern California Edison and Sandia National Laboratories studied the relationship between power generation and a standardized area, the research shows that Stirling Solar Disk is the clear winner as a per unit energy producer. Solar disks’ biggest drawback is its inability to directly transfer thermal energy from the disk where it can be efficiently used. To be cost competitive, a solar collector must concentrate energy, maintain direct and uninterrupted energy transfer to a stationary location, and be highly cost competitive. In 2008, Peter Walker founded Innovation Solar with the intention of furthering renewable energy and materials as a solution to current economic and environmental issues. He has invented a direct energy transfer method to move the thermal energy from a parabolic disk to a stationary location at highly competitive cost. From the stationary heating chamber, the energy moves down the column through pipes and is combined with the energy from other disks. The combined power drives a large generator which feeds electricity to the grid. An economy of scale is achieved which previously was impossible. His other invention - a Fresnel mirror lens that reduces the amount of material needed to manufacture large parabolic solar lenses.